Nature, in all its refreshing glory, returned to the streets of Khayelitsha and Sinovuyo Old Age Home on April, 1st when the world’s favourite apple cider*, Strongbow Apple Ciders® and the HEINEKEN South Africa Foundation joined forces with passionate tree ambassadors, Greenpop to bring a touch of green back to this community in need. By planting 40 indigenous trees during the “Plant Day”, participants achieved their mission of remixing the beauty and freshness of nature with this truly urban landscape. 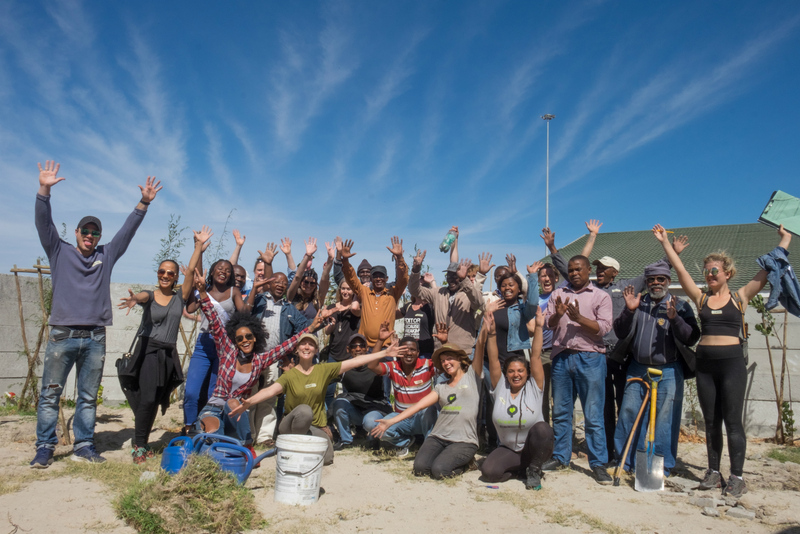 As part of this #NatureRemix, Strongbow® representatives, the Greenpop team, Khayelitsha councillor, Bongile Ngcani and members of the media armed themselves with compost, mulch and gardening tools to bring about this green revolution. “As an urban cider that has its origins in nature, Strongbow® proves that nature offers the ultimate refreshment with the power to rejuvenate cities across the globe,” says Strongbow® senior brand manager, Martine Erkamp. “Teaming up with Greenpop; an award-winning non-profit organisation responsible for planting over 70 000 trees since 2010, was indeed a privilege and their drive to activate people from all walks of life to reconnect with plants, trees and greenery is truly in line with our efforts to bring nature back to the city,” adds Erkamp. “As HEINEKEN South Africa Foundation, we are really proud to have partnered with, Strongbow, one of our brands, to in some way give back to the most vulnerable members of our community, the elderly. HEINEKEN truly believes in Brewing a Better World, a key strategy for our sustainability agenda. What better way to do this than with partnerships such as this, between the community, NGOs and our brand, Strongbow®. As in the urban areas, we need the natural beauty of nature in our townships,” said Zodwa Velleman, Corporate Relations Director at HEINEKEN South Africa. Following the success of this urban-greening initiative, one thing remains certain; Strongbow® is well on its way towards achieving the brand’s mission of refreshing our cities as part of a #NatureRemix revolution. For more information on Strongbow’s range of real orchard apple ciders, visit www.strongbow.com, https://www.facebook.com/StrongbowSA/, or follow https://twitter.com/StrongbowSA on Twitter. Join the conversation at #NatureRemix. *Based on volume. Source: Canadian Volume Report.